I know, another post with food in it, we should just convert over and become a food blog haha. Busy Busy Busy is how we’ve been, but there is always time for tacos. Especially when we are soooooo close to releasing our new shirts. Maybe even by the end of the week 😉 . 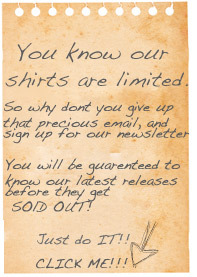 So If you haven’t signed up for our newsletter I suggest you do it. In the mean time just sit back and enjoy some tacos.